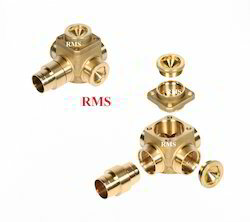 Offering you a complete choice of products which include brass parts assemblies. We are happy to help customers with their assembly needs to save them more cost on part itself, time on sourcing, assembly, logistic and labor cost. With our experienced secondary operations staff, equipment and facilities on sites, we annually supply of bespoke customer assemblies, from simple screw & cable assembly to more complicated plungers and bespoke sub assemblies.